I’m evaluating WordPress plugins for our STC chapter’s web site migration. I use WordPress for edmarsh.com, but the requirements for a personal blog as opposed to a full-on web site – particularly plugins – are quite different. A post recently appeared on Facebook, advertising the 57 best WordPress plugins. The list felt a bit too self-promotional, but there were some good selections, and I implemented a few. 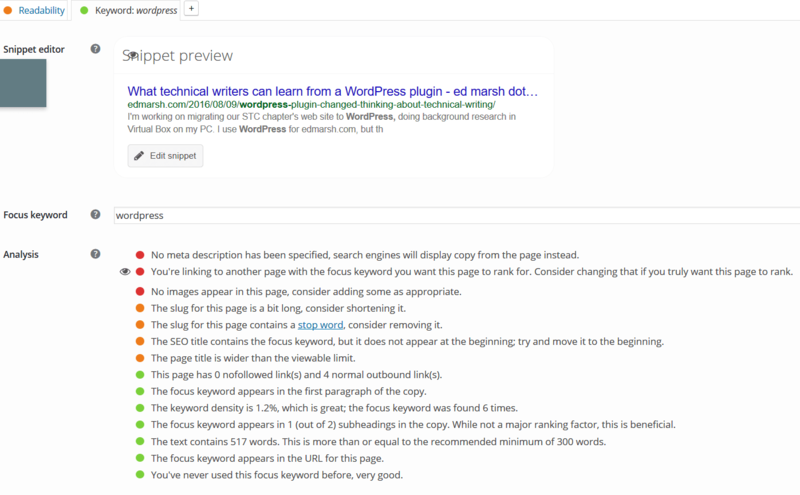 The very first plugin on the list, Yoast SEO, changed the way I feel about writing, particularly for the web. Alan Houser, technical communication consultant and former Society for Technical Communication President, drops by on a very cold President’s Day holiday to talk about his experiences in STC leadership, web standard steering committees, structured authoring and DITA, Markdown, tools, podcasts, and more. XML and the web: drifting farther apart? 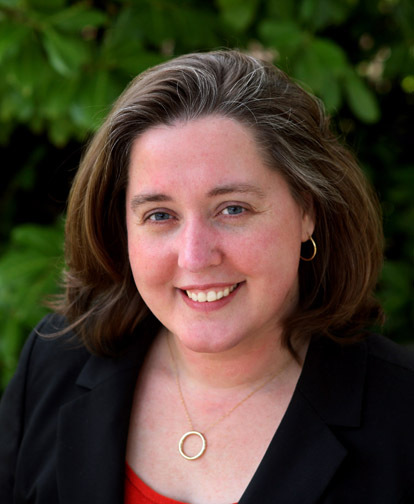 In our inaugural podcast, technical communication and customer experience consultant Sharon Burton tells us about California law, offices without tarantulas, documenting the obvious, the file name field, buying buckets of DITA at the DITA Store, and the renaissance of content.